This Zipper door comes with a double slider for ease of operation from both sides. The entire door, zipper and thread are UV treated. Doors are non shrinkable and are to be installed after shrinkwrapping is completed. 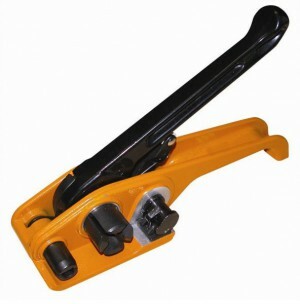 This strap tensioning tool is used to tightly bond two pieces of woven cord strapping used in shrinkwrap applications for shipping and storage. After strapping is connected to metal buckles, the tool will further tighten strapping. Simple Stick on installation, no special tools required. Guaranteed to stick to plastic, wood, synthetics, metal & painted surfaces. Maintains a strong bond in all weather /wind conditions. Dimensions: 1 1/4"H X 4.00" Dia. Safe to use. 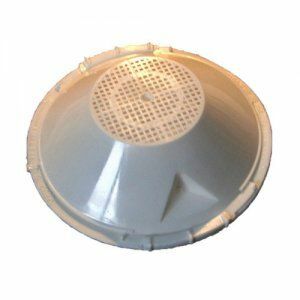 Recessed blade design helps prevent accidental contact, reducing the opportunity for personal injury, lost productivity and possible lawsuits. Shielded cutting area reduces the risk of damage while cutting. They are designed to be conveniently discarded or recycled after their long useful life eliminating the risk of injury which can occur when changing utility knife blades. Our Safety Knives can be used in a variety of applications and their high quality blades last for hundreds of cuts. 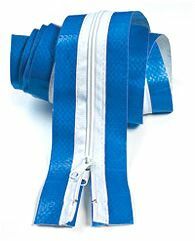 American Shrinkwrap Peel and Stick Zippers are available in blue and white, prepackaged in 6' or 7' lengths. Special order color and lengths are available. Use one zipper to form a slot opening to gain access to your shrinkwrap cover. Two units spaced apart vertically will create a custom sized opening useful for moving materials or equipment into sealed areas. The opening is easily zipped closed preventing the spread of dust and debris as well as conserving energy. 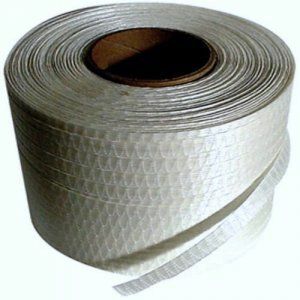 American Shrinkwrap Peel and Stick Zippers are an important element for environmental containment systems. American Shrinkwrap's Heavy Duty Peel and Stick Hatches are constructed in a 12 gauge clear vinyl with Ultraviolet inhibitors and additives that prevent cracking in cold conditions. 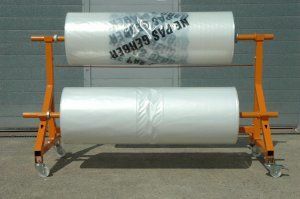 American Shrinkwrap Company Padding foam is installed under the shrinkwrap cover to prevent chafe or puncture damage. Using American Shrinkwrap Company’s metal buckles will not only hold the cross woven strapping in place, it will provide adjustability of the strapping after installation. 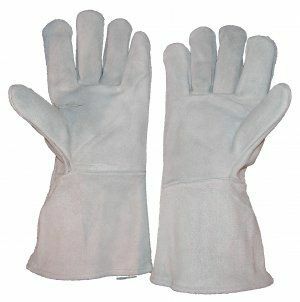 American Shrinkwrap's Long Cuff Leather Safety Gloves are a necessity to protect your hands from the high level of heat generated by a heat gun during the shrinkwrap process. Twin film roll holder enables you to use several film types or sizes without additional handling or time loss. Removes excessive humidity that would normally degrade or destroy items sensitive to moisture. Installed with the available Tensioning Tool our strapping will effectively secure the shrinkwrap cover to your project. Using American Shrinkwrap Company’s metal buckles will provide adjustability of the strapping after installation. American Shrinkwrap Company would like to introduce our new Performance Shrinkwrap Cart. We have been working on perfecting the design for nearly 2 years, and we are quite pleased with the results. 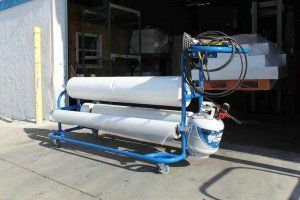 It can accommodate up to 3 large motor freight rolls of shrinkwrap, a heat gun, a propane tank and an area to mount a fire extinguisher. The cart is constructed of Powder Coated Aluminum Tube which is very strong, has no sharp edges and will not rust. 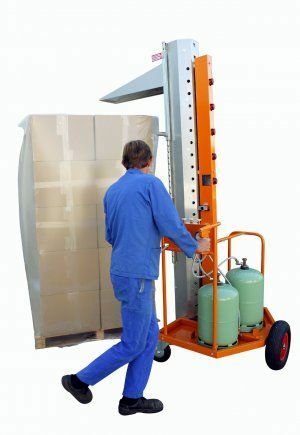 Our Performance Shrinkwrap Cart has a low load height to minimize the amount of heavy lifting required by personnel to reduce the chance of injury. 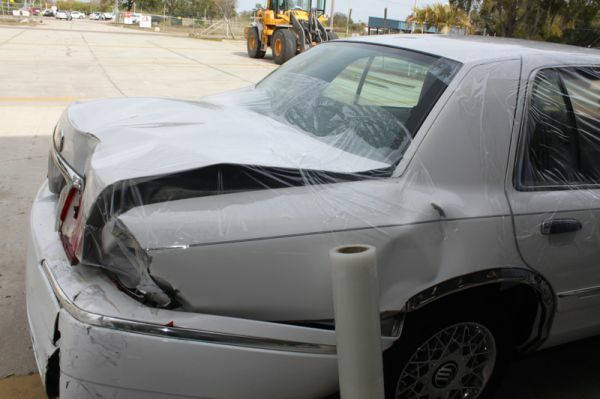 American Shrinkwrap’s Self Adhesive Performance Auto Salvage Wrap covers cracked or broken windshields and windows, sprung doors, caved-in roofs or any opening to protect vehicle interior from the elements. It can also be used on new vehicles for the temporary protection of exterior automotive surfaces during manufacturing, and all-weather protection for shipping, storage and dealer delivery. Adheres to clean and dry metal, glass and plastic surface. Available in clear or white Cuts easily. Even when left exposed to the elements for long periods of time Performance Salvage Wrap will remove cleanly without leaving residue. 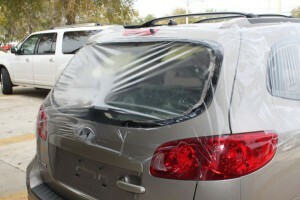 Performance Salvage Wrap is easy for one person to use. Protecting floors, windows, counter tops, cabinet surfaces or bathroom fixtures during remodeling or painting. Protecting graphics on a fiberglass boat. 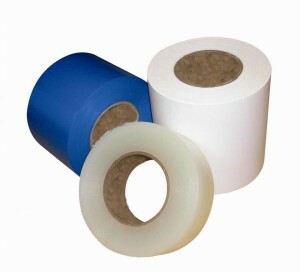 Contact us for pricing information or questions Get knowledgeable answers to your shrinkwrap questions. We always strive to match or beat valid competitor pricing. Just 60 seconds per pallet. 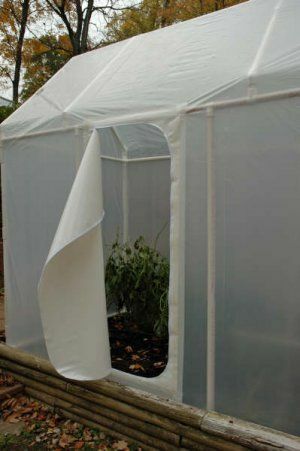 No load length or width limitation (unlike frames and heat tunnels) and up to 8' high (7' with canopy). Heating height adjustable from 4' to 8'. New column design enables a greater hot air flow for thicker film. 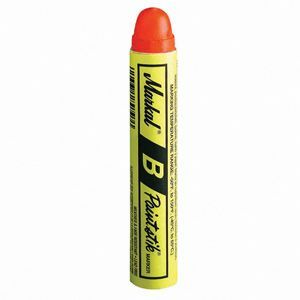 Real lead free paint in stick form; combines long-lasting durability of paint with the ease of use of a crayon. For use on metal, wood, plastic, rubber, concrete,glass cardboard and paper. Marks on smooth, rough, rusty or dirty surfaces and marks through oil and water. American Shrinkwrap is available in White. Select sizes in Clear & Blue. 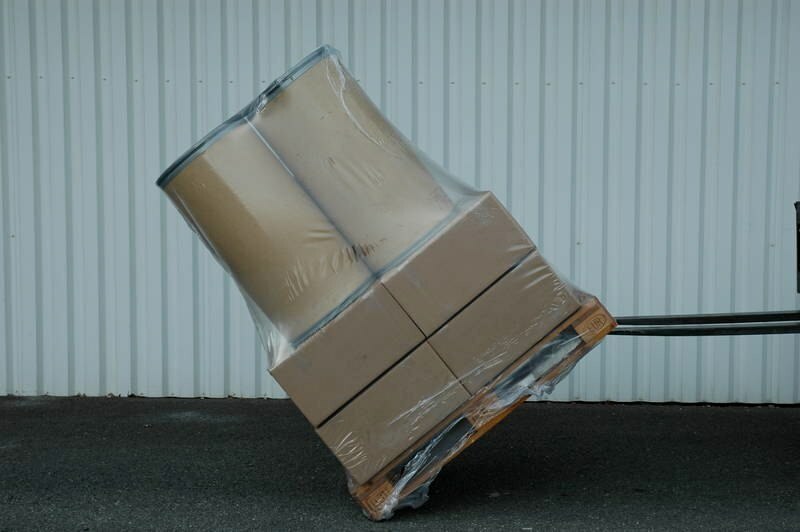 Hold your pallet loads together stronger and safer than banding or stretchwrap. Provide a tamper evdent cover. Are resistant to moisture and dust. Allow outdoor storage of wraped pallet. 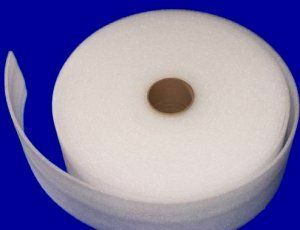 Perforated rolls for easy tear off. Not your size? No problem. 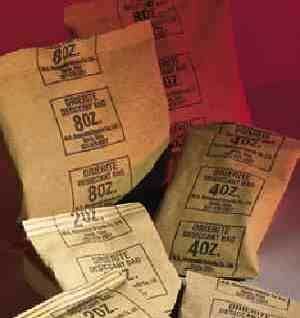 American Shrinkwrap Company can have a size manufactured just for you. Lightweight - 2 pounds, 2 ounces. Perfectly balanced for operator comfort. Cool combustor for operator safety. Wide even heat pattern - up to 18" in a single pass. 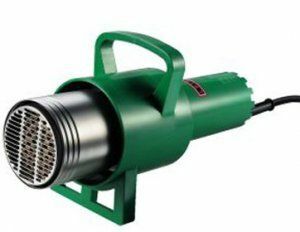 Adjustable power - 134,000BTU/HR (39KW) @ 15PSI to 212,000 BTU/HR (62KW) @ 30PSI. Adjustable combustor orientation by depressing a single button. Quick disconnect combustor for extension use. Assembled in USA - Parts always available for immediate shipment. Full 1 year factory warranty. With its patented technology, the 975’s reliability and durability offer customers one of the most dependable heat tools in the industry. 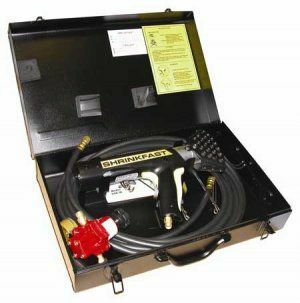 Entering its 30th year of production, the model 975 is one of the most durable heat tools in the shrinkwrap market. At only 3.3 lbs. And its rugged aluminum body, the 975 is the heat tool of choice for dozens of distributors around the world. The 975 comes with a full 1-year manufacturer’s warranty on all parts and labor. Shrink an average pallet in just one and a half minutes. Its power, up to 72 kW, creates a major coverage area, thus saving time. A wide range of settings starting at 40 kW enables shrinking of all film types. 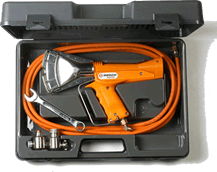 Light, well-balanced and easy to grip, the RIPACK 2200 nozzle can be pivoted, even while in operation, for easy and precise results. Pleasant to use with its patented, almost instantaneous start up. With its patented extensions system, in just a few seconds your RIPACK 2200 can increase its potential range for even greater effect. Already renowned for its solid construction, the RIPACK 2200 has gone even further by protecting every part that might be adversely affected by impact, heat or breakage. Thanks to its high power (up to 55 kW), the application possibilities are endless: Product grouping on a pallet, wrapping different shaped products, protecting boats for winter storage etc. Balanced and lightweight, Ripack 2000 offers optimal comfort in utilisation. 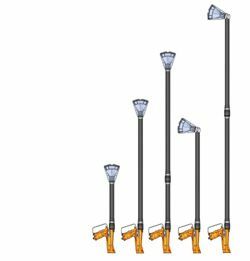 Its swivel connection avoids any undesirable hindrances due to hose twisting. 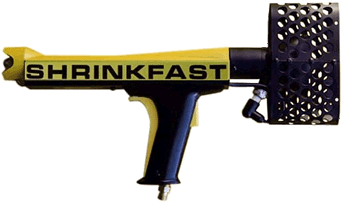 Powerful hand tool for shrinking even in the most confined spaces. Quick and easy assembly of one or more extension wands on the RIPACK 2200 heat gun. All components are integrated and protected from the environment. 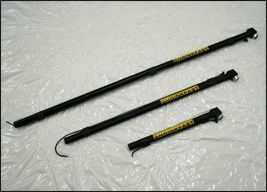 Use extension wands to work quickly and easily. Low area work: shrink wrapping around the bottom of a pallet, or ground marking using thermoplastic markings. Work in difficult access areas where reaching is required.